Call of Duty: Modern Warfare 3 is the 3rd installment of the Modern Warfare Series and the eight installment in the popular FPS gaming series of Call of Duty. The game like the previous installment is carrying some mind blowing stunts and near life-like ops where you take the roles of different soldiers all over the world fighting terror. 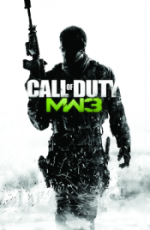 The gaming engine of Call of Duty: Modern Warfare 3 is very similar to that of the gaming engine of the previous installment, so fans of the previous installment do not worry you will not have to consider upgrading your computer to play this game. 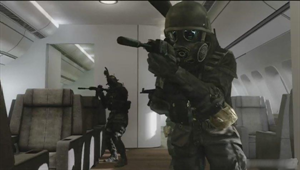 The campaign mode will progress the story where it was left in Call of Duty: Modern Warfare 2 and it will allow users to go to different countries fighting terror and experiencing different styles of operations in different countries where users get the chance to learn more about the weapons, planes, helicopters showcased in the game. There is no health meter in any Call of Duty game since Call of Duty: Modern Warfare and it has been continued here too, as the player takes bullets from the enemies the screen shows blood splatter increase and if the blood splatter covers the whole screen then you are dead, and as the game progresses when you are not getting hit you slowly heal. Each mission has different objectives depending on what and where your mission is. In the whole of Call of Duty: Modern Warfare series you are always accompanied by a team of troops who share the mission with you, and they cannot be given orders as per you need, the player is never left alone except few very rare moments in the game in special missions. Like the first installment of Call of Duty: Modern Warfare this game will also have a different type of game along with the campaign mode although they do not share any relation with each other, it is called the Survival Mode in which the going is very tough as wave of enemies attack you and you alone have to kill them all. It has been said that there has been considerable improvements made in the Multiplayer mode from the previous installment which was received by users and critics with a positive review and hence its being anticipated this well can be the near perfect Multiplayer game in recent times and they have kept the base of the engine quite same and not changed it much but have made some important tweaks to make it work and feel better. Unlike the previous installment, Modern Warfare 3 will have a local and also an online split-screen option. With this there has been a new development specially for the multiplayer mode of the game that is a new free or a subscription based service has been announced which is the Call of Duty: Elite and it is only for the multiplayer mode and it will also be released on the same date as the game. The free version provides users with features such as lifetime statistics and social networking between users, whereas the subscription will cost users $49.99, which comes with many features such as exclusive downloadable content, competitions with real and virtual prizes and many more. The storyline continues from where it was left in Call of Duty: Modern Warfare 2 where America and Russia were at war, as the Americans retaliate and successfully stop their invasion. The Russians in Call of Duty: Modern Warfare 3 continues to attempt invasion now not only in the United States but all over the world now. The game takes players to various locations such as England, Germany, France, United States of America and various other countries for missions. The game sees the return of the characters who have survived from the first installment of Call of Duty: Modern Warfare that is former Task Force 141 Captain Soap MacTavish, former SAS Captain John Price and their informant friend Nikolai who are on the run and most wanted for the killing of General Shepherd. There are many more new characters in the game which the users will be impersonating in different countries for different types of operations. There are many more new styles of operations and never before missions which are sure to make the players experience new styles which cannot be seen any other game.